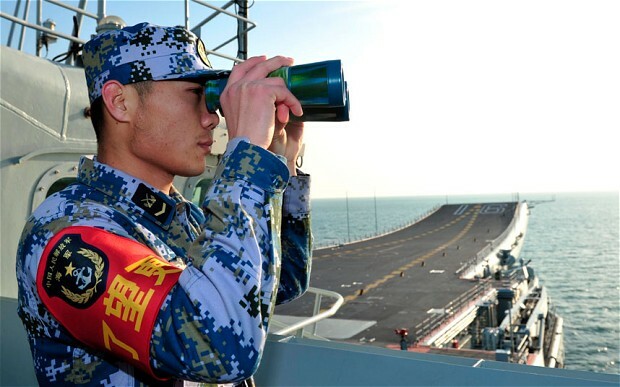 A naval soldier aboard China’s first aircraft carrier Liaoning. After months of speculation, China confirmed on Thursday it is building a second aircraft carrier to go with an existing one bought second-hand, as neighbours worry about Beijing’s new assertiveness to claims in the South China Sea. Defence Ministry spokesman Yang Yujun said the carrier had been designed in China and was being built in the port of Dalian. Foreign military analysts and Chinese media have for months published satellite images, photographs and news stories purporting to show the second carrier’s development. “China has a long coast line and a vast maritime area under our jurisdiction. To safeguard our maritime sovereignty, interests and rights is the sacred mission of the Chinese armed forces,” Yang said. The design draws on experiences from the country’s first aircraft carrier, the Liaoning, bought from Ukraine in 1998 and refitted in China, Yang said. Yang said the conventionally powered carrier has a displacement of 50,000 tonnes, will be able to operate the Shenyang J-15 fighter and, unlike the 60,000-tonne Liaoning, have a ski-jump take-off. Little is known about China’s aircraft carrier programme, which is a state secret. Yang would not say when the second carrier would enter service, saying it depended on progress in the design process. A Shanghai-based naval expert who asked not to be identified because of the sensitivity of the matter said tensions in the South China Sea made the carrier particularly necessary to furthering Chinese interests. China says it has no hostile intent and wants to manage the dispute through bilateral talks with the other claimants. Yang also announced the defence ministry had just set up a new hotline with Vietnam, as it seeks to manage the tensions. 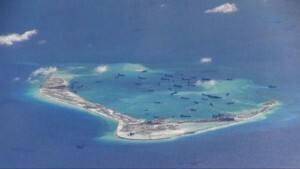 But Beijing has been involved in a diplomatic spat with Washington too over ship and aircraft patrols in the region. Asked whether China was thinking of a third carrier, Yang said that “relevant authorities” would take various factors into consideration about future carrier plans. Taiwan’s Defence Ministry said in September China was building two aircraft carriers that would be the same size as the Liaoning. Successfully operating the Liaoning is the first step in what state media and some military experts believe will be the deployment of domestically built carriers by 2020. The Liaoning has taken part in military exercises, including in the South China Sea, but is not yet fully operational. Last week, the military said the Liaoning had made a “key breakthrough” in shifting from the testing phase to being able to operate ship-borne aircraft, as the country’s navy chief paid a visit.